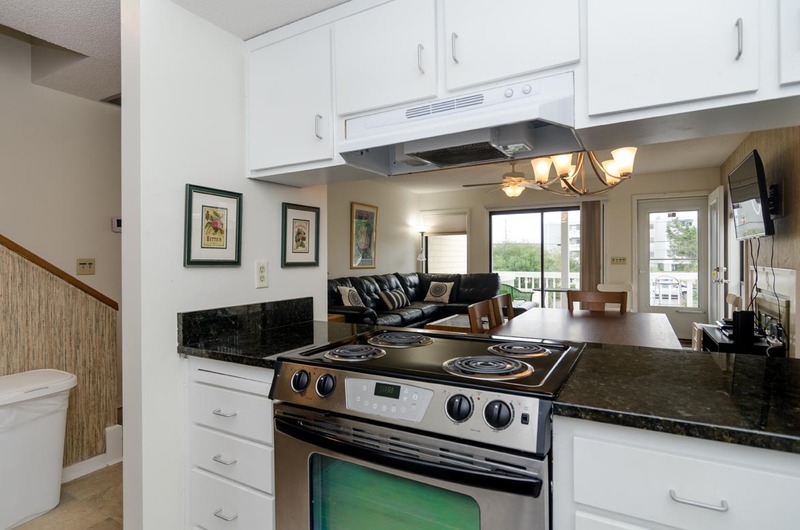 Less than a block to the beach access and Johnnie Mercer’s Pier, this 3 bedroom, 2 bath townhouse has a kitchen, dining/living area that opens to a large deck with slight ocean view. There is also 1 bedroom and bath on this level. This property has undergone a complete renovation as of May 2016 including updates to the counter tops, sink, stove, as well as the stairwell and the flooring, mirror and fixtures in the master bathroom. Master bedroom has a private deck. 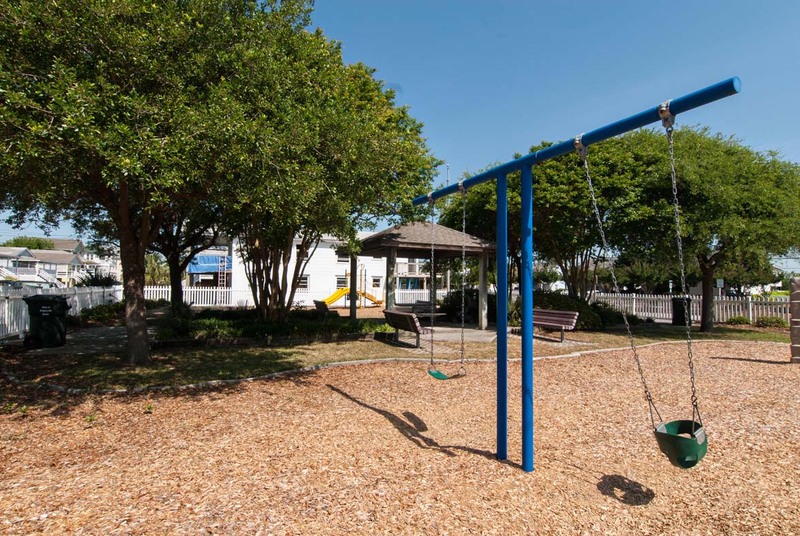 The Loop, a 2.5 mile paved pathway around neighboring Harbor Island and downtown Wrightsville Beach is accessible practically at your front door for an early morning jog! Outside Shower. Parking for 3 cars in carport and driveway. Occupancy: 6. No Smoking. No Pets. Lovely rental in a great location. Our family of four had a very pleasant stay! Hope to go back again! Our family does an annual fishing trip in memory of my father. 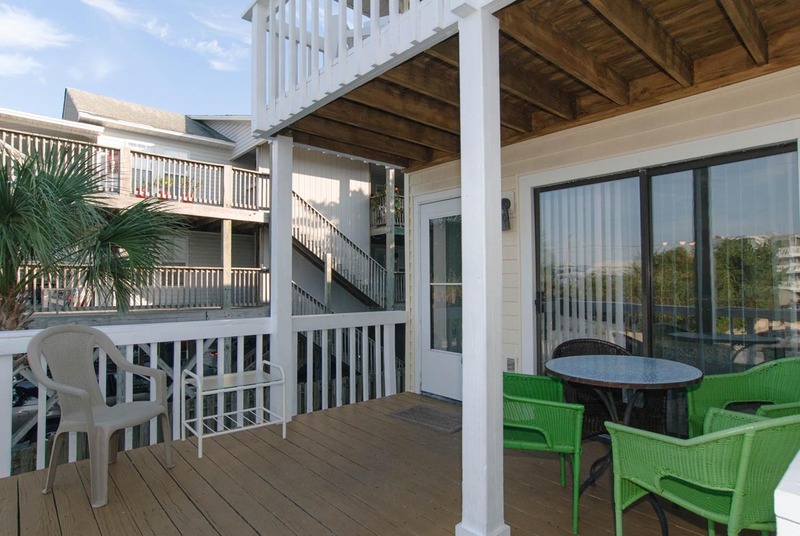 The condo was in the perfect location for fishing- walking distance to Johnnie Mercer Pier. It was also easy to check in. There was no need to go to the office as Bryant Real Estate sent a message with the code to the keyless door entry lock. The only suggestion I would have to make it better is to use a different mop. The floors on the main level were not very clean when we arrived. Also, the outlet is the master bathroom did not work. Thank you for your review, we are glad that the process was easy and your stay was enjoyable. I will let housekeeping know about the mop and the floors. See you next year. I really enjoyed our stay here last week. 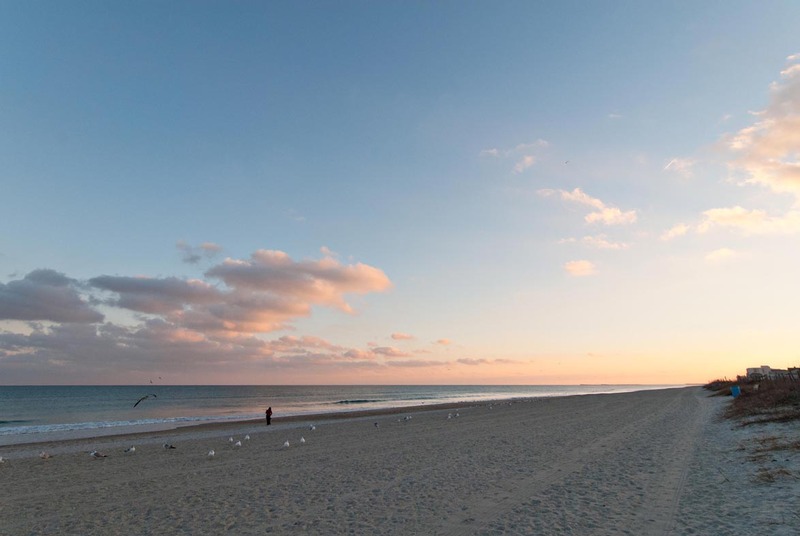 We've been vacationing in Wrightsville Beach yearly for over 20 years. The unit was clean and comfortable. All appliances in working order, wi-fi & TV's worked as instructed, beds were comfortable and the location is super convenient. 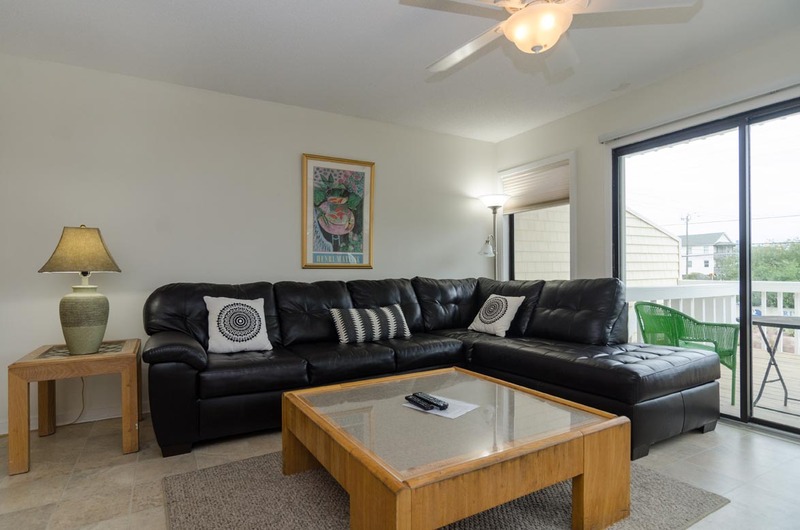 This may not be the fanciest unit on the island, but it's really a bargain for its proximity to the beach. A short walk to dining/shops. Nice that each bedroom has its own bathroom. It's also right on the Loop, which I like to run every a.m. If you fish, the pier is very close. If you have young children, be aware that traffic and noise is heavier in this area than on the ends of the island. This property worked perfectly for our group. 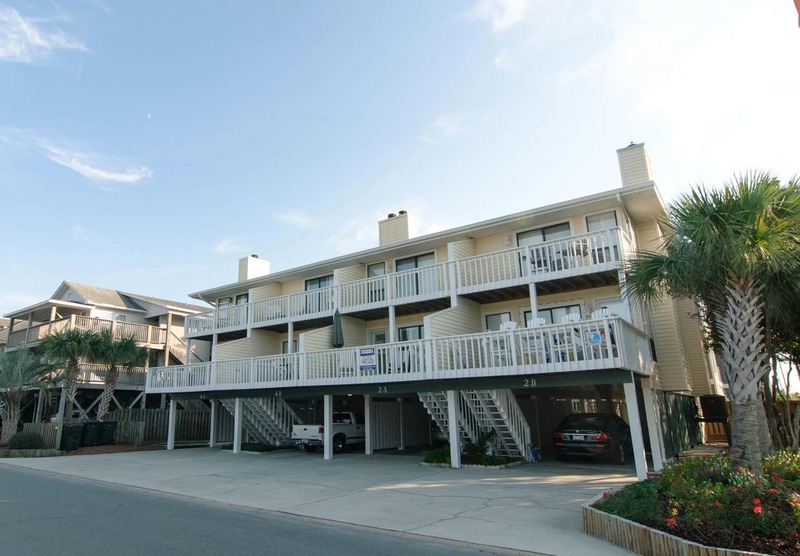 Great location 2 blocks from the beach and you could take a longer walk down the main area of restaurants/bars. Plenty of space and a bathroom for each bedroom, which was a plus. Very clean and an easy check in and out process. Highly recommend! It was very good but only internet did not work. We had a wonderful experience. We have relatives in Wilmington, but we love our own place and and this fit our needs perfectly. Fair price and clean and roomy. Easy to get to no stress check-in and check-out. All questions were answered promptly. We will rent again if our schedule permits. Wonderful experience! 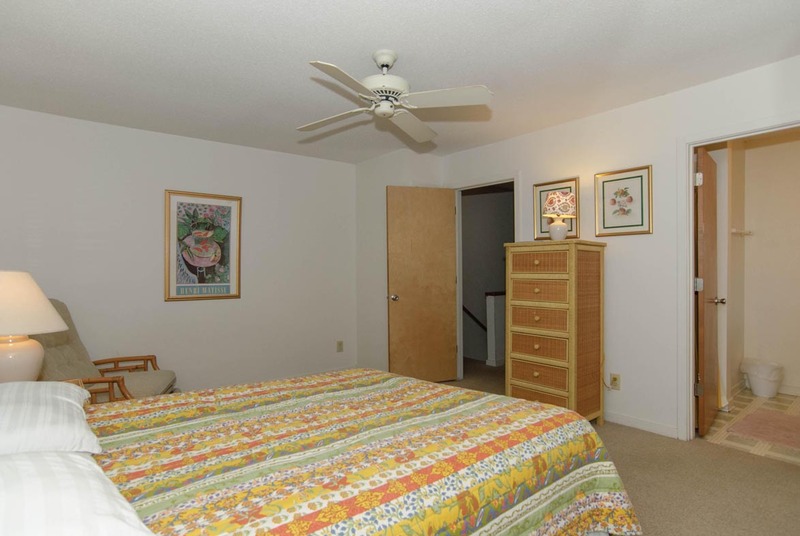 The unit was very clean and convenient to everything! The folks at Bryant Realty were great when we called and came right over to bring us whatever we needed. 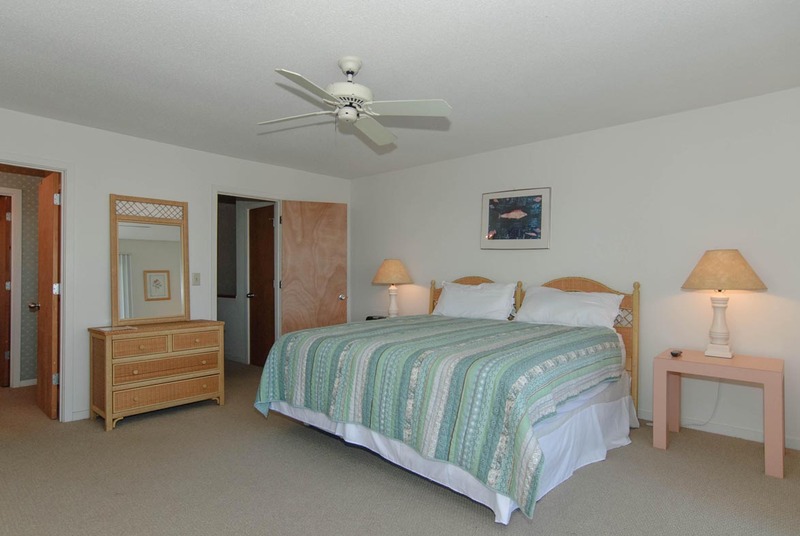 We loved having 3 bathrooms and the bedrooms are spaced apart for privacy. Considering the unit's proximity to the road and the pier, it was really quiet. The unit also had new flooring, new carpet in the bedrooms, granite counters and a deep sink in the kitchen, and a new sofa. 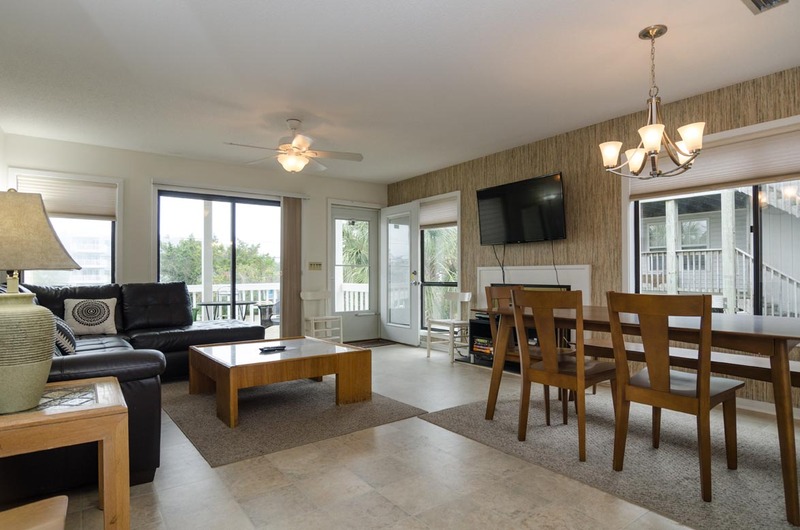 This is a great rental unit for a family!! We loved staying here! The location of this townhouse was perfect! The decor could use some updating, the closets could use cleaning out of old stuff but overall the place had what we needed. The outlets in both upstairs bathrooms need to be fixed as neither worked and we could not find a fuse box to verify it they were tripped or broken. Everything was perfect. I'm a stickler for cleanliness and this house was immaculate. 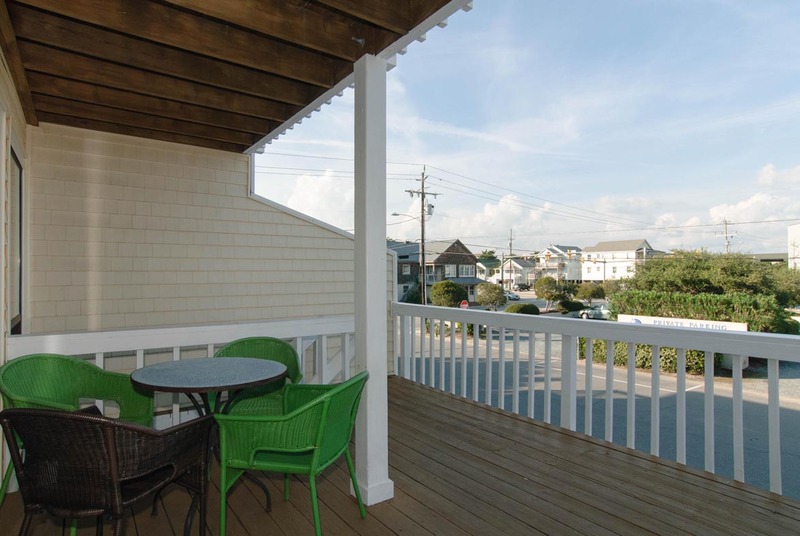 It was large and had everything we needed as well as being so close to everything wrightsville has to offer. would %100 reccomend! The management was very responsive when window screens needed to be replaced. I rented this condo with my parents, my husband, and my 7-month-old baby girl. It was the perfect amount of space for all of us. It was especially nice that each bedroom had its own bathroom. We loved going to the Shark Bar for lunch and walking out to the beach was so convenient. Suggestions for improving would be more carpeting/rugs in the living room and a less bulky coffee table! 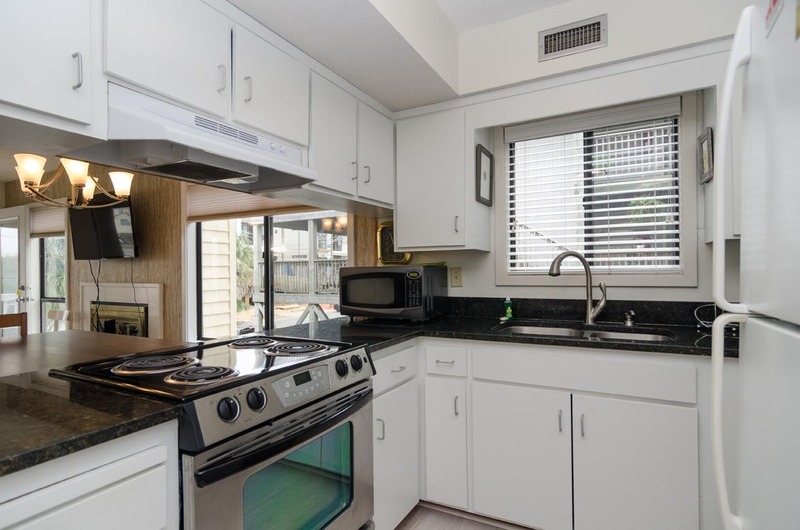 Also the kitchen is quite small for four adults to move about in. Furnishings are very basic and no frills, but that was fine by us! A slice of heaven in this very spacious, stylish, clean townhouse! The rental management was a pleasure to deal with! Looking forward to another visit soon! The property was perfect our our family getaway for fishing and family time! Very spacious, clean, and well laid out floor plan. My kids loved playing some new games from the storage closet too :) The only negative was that the wifi was not working while we were there but everything else was great!! Would definitely return in the future. My family and I were happy with all the room we had. Three bedrooms and no one slept on the floor! It was a good location and well maintained. I liked being close enough to walk to the beach. Cathy- Walking distance is always a plus! Glad to hear everyone enjoyed their week at the beach!! First off, Bryant Real Estate is a great company. The rental process is easy; check-in was smooth. 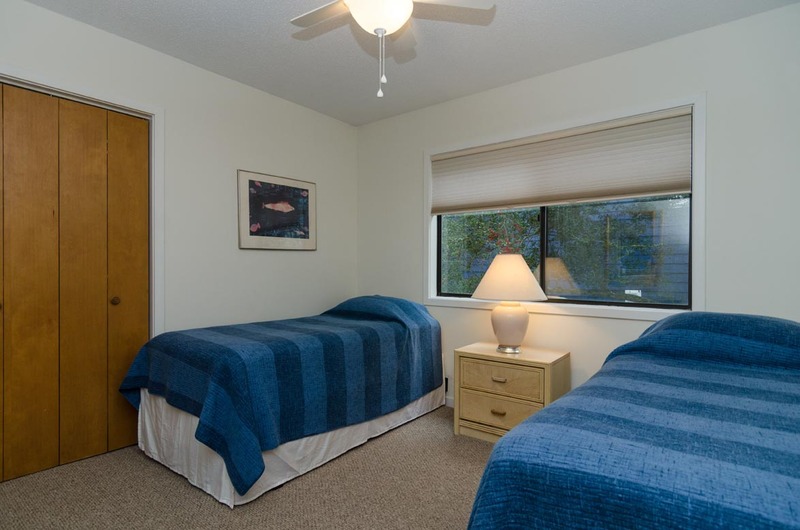 The unit was as described, which is to say the number & size of beds & baths was was correct, and the photos clearly depicted the furnishings, layout, etc. 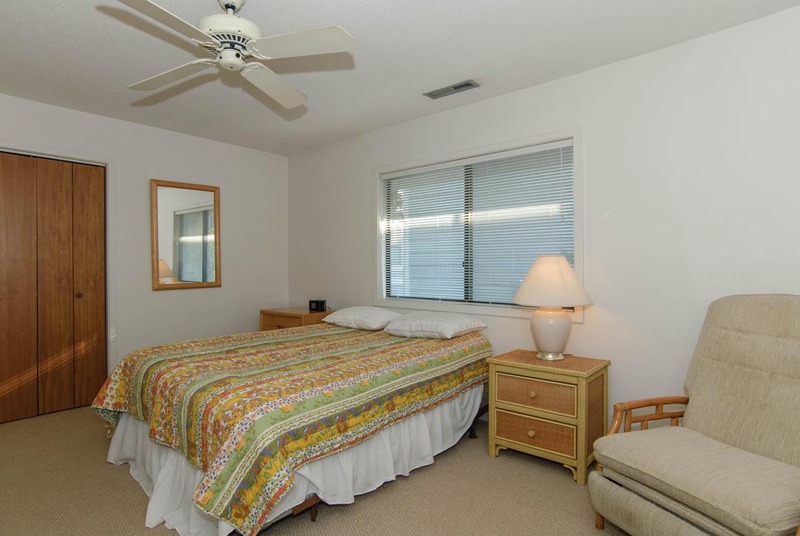 The unit was not dirty, but it had the typical wear caused by beach-side living (sand in the carpet, some slow drains, furniture showing its years of renters' use, etc. )All the amenities were there, though. Wi-Fi worked fine. Decks are nice. A/C worked very well. The location is great for the price, too. On the Loop, near the rental office (they were there in minutes to change a light bulb), easy walk to center of town, great bike ride in any direction,& ocean-side, so no streets to cross. 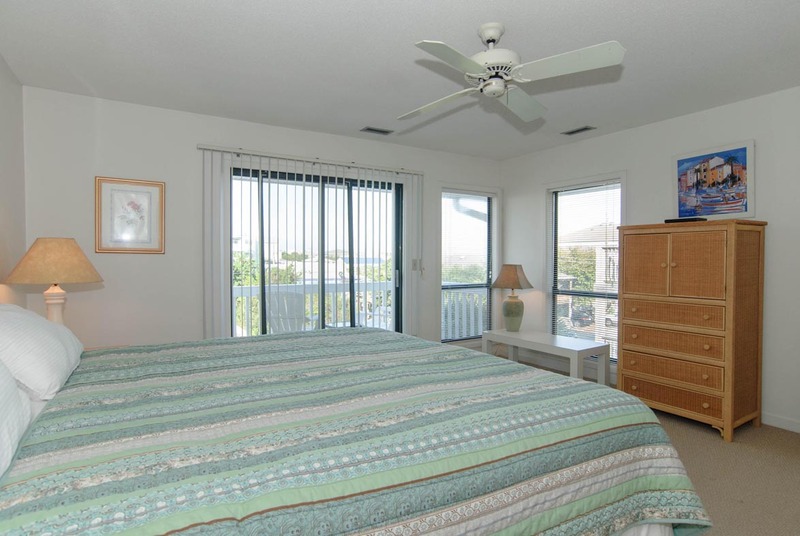 It's easy to run back to the unit if you've forgotten something, or to walk out to the beach for a stroll at night. We enjoyed several local restaurants - King Neptune, Oceanic, South Beach Grille, Tower 7, 22 North, etc. We visited the Wrightsville Beach Museum (again)and shopped at all the local places. Took home a nice piece of art from Jazzy Boy Art studio). Also spent a great day in Wilmington shopping and sightseeing. Two of our group enjoyed a charter fishing day, as well. These are the things that matter to me most when I'm at my favorite place in the world. I would recommend this unit to a friend or family depending on their needs, and I would definitely recommend Bryant R.E. to help find just the right place if this one didn't suit. The condo was very nice. Had an enjoyable time.